For Market Inquiries & Applications stop by our managers table located at the market entrance. We are open every Saturday rain or shine! What Do You Receive in our E-mails? and Other Exciting News From Our Market! OUR PROMISE TO OUR SUBSCRIBERS! We promise to only send you information that is related to the Blackwood Farmers' Market periodically throughout the season. 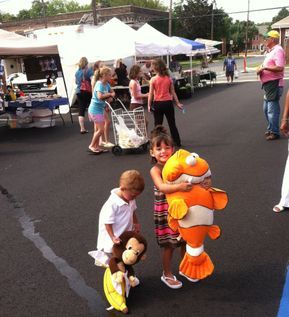 SPONSORED BY: The Gloucester Township Economic Development Corp.
A Committee Volunteer with Our Veggie Kids!